As part of Sheridan’s biodiversity initiative, we are excited to offer two hands-on workshops on the conservation of pollinators this Fall. These workshops are one of the three components of the Wildflower and Pollinator Protection and Enhancement Program created by the Office for Sustainability and supported by the TD Friends of the Environment Fund. The first pollinator workshop will be held next Thursday, September 27 at the Trafalgar Campus. 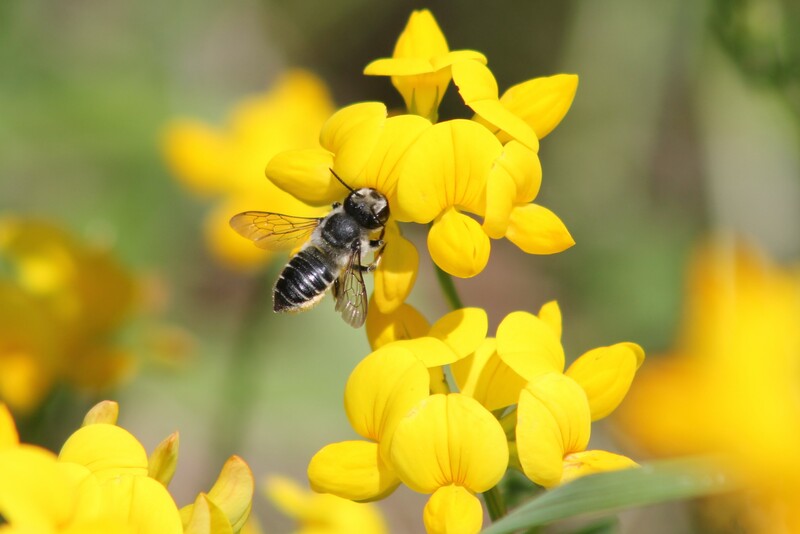 In this interactive workshop, participants will join conservation ecologists from Pollinator Partnership to learn about the diversity of bees in our community, the latest science on conservation issues, and the concrete actions you can take to make a difference. The second pollinator workshop will be held on October 11, 5 to 7 p.m. Please stay tuned for further details. The wildflower community planting event we offered in June was another component of the Wildflower and Pollinator Protection and Enhancement Program. We have shared what we accomplished here. ← Sheridan ARE YOU READY?! Which room will the workshop be held in? Take a pledge to support Sheridan in the fight against climate change!